Having white teeth is the best way to ensure your smile catches someone’s eye. But, over time, teeth tend to become dull and yellowed due to age and surface stains. If you want to have a nice and bright smile, you should consider teeth whitening. Teeth whitening is becoming an increasingly popular cosmetic procedure. This is due, in part, to the number of studies that note the importance of a pleasant, attractive smile. Studies have found that your smile can be one of your most memorable features when you meet someone for the first time. 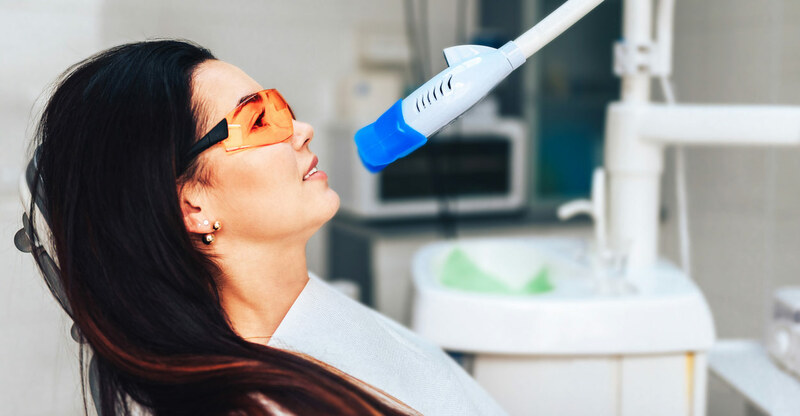 Since first impressions are so important in both business and one’s personal life, it makes sense that more and more people are getting their teeth whitened. A more vibrant smile can make all the difference. Over time, your teeth become stained and discolored. It is natural to have your teeth yellow over time, as it comes with age. The enamel on your teeth naturally wears down over the years, causing the yellow tissue of your tooth to be revealed. However, there are other reasons why your pearly off-whites are not shining so bright anymore. Including certain foods and drinks in your diet can cause your teeth to accumulate stains. Unfortunately, a lot of these foods are delicious. While you can enjoy any of the following as much as you please, you should also know the risk factors when it comes to dental hygiene. Most people already know that coffee and tea stain their teeth, but did you know black tea is the real offender? Coffee and tea contain some natural compounds called tannins. Tannins bind to proteins which means they love to stick to your enamel. But black tea contains more tannins than coffee, making it more likely to stain your teeth. Despite several potential health benefits, there are some drawbacks to drinking wine. One of which is that it stains your teeth. Wine is acidic and contains tannins. This means that the acid in the wine can lower your teeth’s natural enamel defense, leaving them wide open for staining and discoloration by the tannins. Surprisingly enough, white wines are worse for your teeth than red wines. This is because white wines contain more tannins than reds. Next time you pour yourself a glass, maybe reach for a fine red wine instead. Berries are so delicious but, unfortunately, they can stain your teeth. Berries have high levels of acid that can wear away your enamel. When your enamel erodes, it shows the yellow tissue of your teeth that are just below the surface. It is best to try and limit your consumption of highly acidic foods to maintain general dental health. Teeth whitening is a multi-procedure treatment that can either bring your teeth back to their natural shade or whiter than your natural shade. The whitening process of your teeth is called scaling since you cannot whiten your teeth overnight. It is a process that relieves the surface stains from your teeth and can go further to whiten your natural shade. There are several ways to whiten your teeth, such as tooth whitening gel as well as other at-home teeth whitening solutions; however, the two most effective are surface whiteners and bleaches. Both methods should be under the supervision and at the recommendation of a dentist. Surface whiteners are the most common form of teeth whitening treatment. These are the type of whiteners that are in some kinds of toothpaste and chewing gum. They simply remove the surface stains that are imprinted on your teeth from various lifestyle and diet choices. Since these whiteners are limited to surface stains, they can only whiten your teeth to a limit, almost superficial extent. Teeth naturally yellow with age, so a surface whitener will not be able to get your teeth back to its natural shade. These types of whiteners cannot whiten your tooth’s natural shade either. If you are looking to only slightly whiten your smile, then surface whiteners are the best way to go. Bleaches are a more effective way to whiten your teeth. If you are looking to go whiter than your natural shade, then bleaching is your best option. Since bleaching uses peroxide-based products, it can be tricky. That’s why bleaching should be left to the professionals and done in-office with a dentist. When you meet with your dentist, they will assess your teeth to determine the root cause of your discoloration. Once your dentist knows the cause, then they can determine the best course of action to whiten your teeth. Your dentist will decide whether vital bleaching or non-vital bleaching is needed. Non-vital bleaching is less common and is used on teeth that are no longer “living” because of something like a root canal. Non-vital bleaching whitens your teeth from the inside out. Vital bleaching works on “living” teeth. This method is for whitening teeth that have deep stains, and that have yellowed with age. It employs a strong peroxide-based gel that is applied to the tooth’s surface. Sometimes your dentist will use a specialized laser that can activate the gel to accelerate the bleaching process. Both types of bleaching require a couple treatments at least. Typically, you see results right away. But for full results, it takes up to three appointments to have your teeth shining white and bright. Most dental offices will offer teeth whitening services. But if you are not sure where to find a dental office to whiten your teeth, check out Emergency Dentists. It does not have to be an emergency to use their quick and easy service. 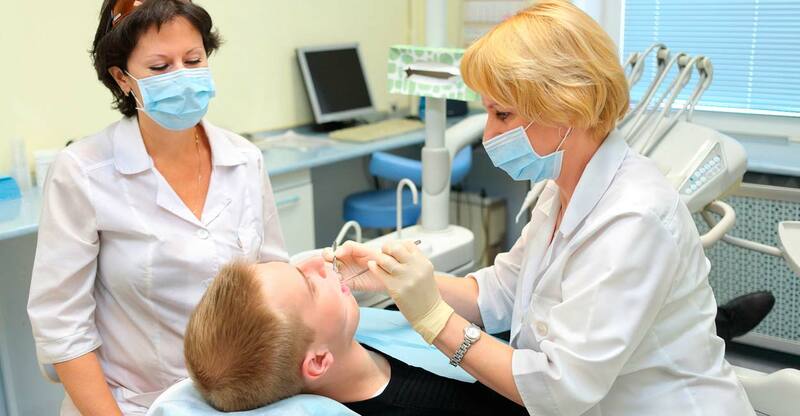 Emergency Dentists connects you with immediate dental services near you. If you are traveling or away on an extended vacation and need to get your pearly whites brightened up, they will connect you with a dentist wherever you are. If you live in the United States, Emergency Dentists can set you up with a local tooth whitening clinic near you. Emergency Dentists has an extensive directory of dentists that are open 24/7, Saturdays, Sundays, or accept walk-in patients or offer a holistic approach. No rush? Use their “Find A Dentistry Office” service to find a dental office near you for your non-urgent needs. For any of your dental needs, you can call their toll-free number at 1-855-282-1699.